Any weariness is banished at the touch of a button with café+co. Their coffee machines have become a familiar sight at the Press Centre. 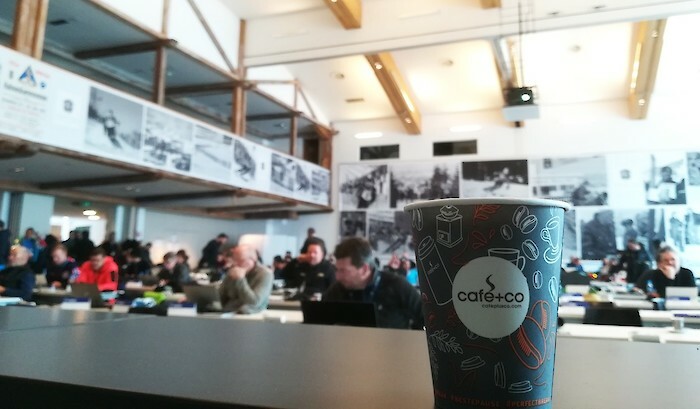 café+co has been a loyal partner of the Hahnenkamm Races now for the ninth year in succession. Coffee delights range from delicious cappuccinos to creamy hot chocolates, satisfying consumers anew every single year. Welcome refreshment is also provided by our BWT partner, who has installed a water station on site in the Press Centre. Consumers can choose between tap and mineral water. We would like to thank both companies for the excellent cooperation.